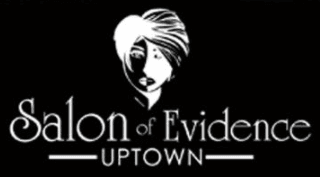 If you’re looking to spice up your hair’s color or style, the professionals at Salon of Evidence Uptown in Charlotte, NC is here to make it happen. We love being able to work with our clients and help them find the best style and color for their hair type. We understand that our clients have unique taste and styles when it comes to how they want their hair to look every day. Our hair stylists are well-versed in bringing one dimensional hair color to stunning and glorious life with our ombre or balayage hair coloring techniques. Whether you want highlights, lowlights, or all over color our team will be able to make your hair styling and coloring dreams into reality. You can call us at 704-370-0099 or request an appointment by filling out our online form. Our expert, professional stylists can’t wait to meet you and transform your hair into a masterpiece!